April is Earth Month, and Earth Day is coming up on April 22. In the spirit of awareness, we’ve looked into the recycling efforts and processes here on campus to find out just what happens to the things we discard. There are two businesses the university employs for its trash and recycling needs; on the main campus, Local Waste Services is used. Due to a contract held before Capital’s absorption of Trinity, the seminary uses Rumpke Waste & Recycling. Rumpke is also used in all of the houses on campus. But what are you supposed to recycle and what do you throw away? There is some confusion about what can be thrown in the recycling bins around campus, but Facilities hopes to make this more clear with signs near the bins detailing the basic cans and can’ts. For a complete list, visit www.rumpke.com/for-your-home/recycling/acceptable-items. Paper, glass bottles and jars, plastic bottles, metal cans and cartons (like milk) can all be recycled. Clothing, batteries, plastic bags, and pots and pans cannot be recycled. However, Kroger has bins for plastic bags to be reused, and there are some containers around campus where you can put used batteries. If you have ever thrown something away in the wrong bin, don’t fret. When the bins are collected, they are taken to a distribution center where they are carefully combed through to further separate what can be recycled and what must be taken to the landfill. Pictured is one of the compost bins in MDR for students to put food waste in. If there is still food or liquid in a container, they take the time to clean those out so that they can still be recycled. Capital is also working on an initiative to make other non-recyclable items ‘recyclable’ as well. The facilities team is working to provide bins at the end of the year for students to donate clothes, kitchenry, and other items they no longer have a need for, but others might. The facilities team is also hard at work to lessen the carbon footprint of the university and its family. Recently, Capital was awarded $10,000 in the form of the PepsiCo Zero Impact Grant. With this grant, they plan to make Capital a zero-waste site. More containers will be added throughout the campus, including one for each student in every room. They are also focusing on the food aspect of recycling. If you eat in the MDR, you’ve seen the large green bins that you throw the remainder of your food away in. These bins are used for composting. All of the materials in the MDR, like napkins, plasticware and cups, are compostable. The only thing that isn’t are the straws, but Capital is pushing for no straws or paper straws to replace the plastic ones. 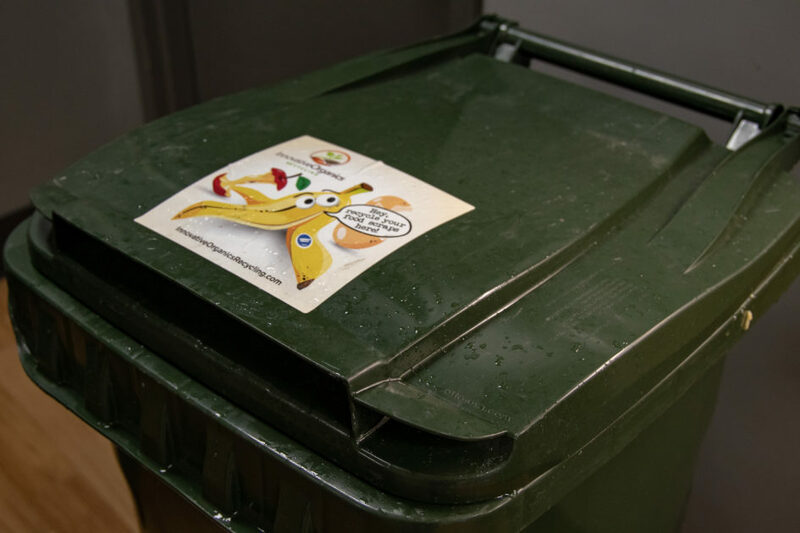 In April, they plan to add new signage that will detail how many pounds of compost are recycled each month, in an effort to educate students and staff on the impact of recycling. In February, approximately 14,000 pounds of food and material was composted. For an average academic year, about 240,000 pounds are composted. The compost is picked up by Innovative Organics Recycling, who then converts everything into fertilizer that is used on our local gardens.